What do you think of when you see compass rose tattoos? 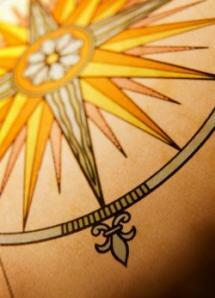 Compass rose tattoos have been around for hundreds of years. For most of that time, this design was the domain of sailors who wore their tats for a number of reasons. Among the most prominent, seamen believed that a compass rose tat would bring them good luck and ensure that they made it back to shore alive. Considering the rough lives these sailors endured, with unpredictable seas, malnutrition and other hazards, some luck was needed indeed. Compass roses tend to follow a basic design. 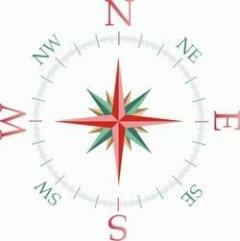 The four cardinal directions of north, south, east and west are placed in their appropriate positions around a circular base. The inside of the rose is typically filled in with an ornate star that is believed to be symbolic of the North Star, the principle navigational tool people used for centuries to guide themselves from one point to another. Through the years, these designs have been fairly basic, anf were mostly being drawn from old maps and logs. Typical ink colors used to create these tats usually included basic blues, browns, gray and black. Today, many talented and imaginative tattoo artists are giving this traditional tat a modern spin, but we'll get to that in a moment. We've already covered how sailors often wore these tats for luck, but as more and more modern tat enthusiasts opt for this design, the meanings behind the compass rose have become a bit more philosophical. A compass tat can have great personal meaning to the person wearing one. In some cases, the design is a reminder to focus on the future, and let the past rest where it belongs. This can mean moving forward after a rocky relationship, leaving an addiction] behind or just generally getting a fresh start in life. For someone who has previously drifted through life without any real goals, a compass rose tat can be a reminder that anything can be achieved when you have direction in your life. For others, this design is about remembering, honoring and learning from the past, as well as looking forward and being open to whatever the future holds. It's an all encompassing life view and a healthy one at that. 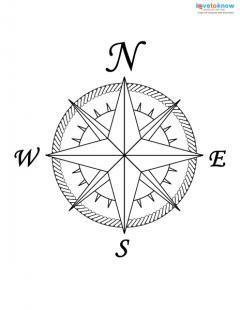 If you love the old-fashioned compass design, by all means, go with it. However, if you're looking for ways to update this classic, here are a few suggestions for you. First of all, there's no quicker way to modernize a compass rose design than by freshening up the color scheme. Instead of staid dark monotone tats, why not choose eye-catching bright combinations? Want to see all of your options? Grab a box of 64 Crayola crayons and test your favorite colors together to find your ultimate combination, one that looks good together and still complements your natural coloring. Maybe you really like the old-fashioned star in the center of the average compass design. Don't be afraid to go with something that appeals to you, no matter how traditional. However, maybe you'd like to add something a bit more personally symbolic. 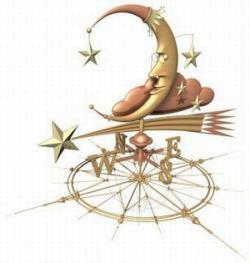 In that case, forget the star and try inserting one of the following ideas into the center of your compass tat. How about filling the center of your design with your personal zodiac sign? These symbols come in many styles, including western and Asian astrological characters, so you have a lot of ideas to work with. Bottom line, they all look fabulous when incorporated into a compass tat. Kanji can add greater depth to the personal meaning of your tat. Consider characters for universal themes such as love, peace and truth, or find a kanji that speaks to your heart. Incorporate your favorite sun, moon and stars motif into your body art. Speaking of the sun, turn your compass rose into a sun and use extended rays as the four cardinal directions. Really give a classic design a new spin by creating your tat according to Celtic or tribal styles. You're bound to wind up with a tat like no one else's. We're sure these fresh ideas have you thinking about many ways to modernize classic compass rose tattoos. Why not share some of your own suggestions in the comments box below? Who knows, maybe you'll find even more inspiration in design ideas shared by others.